Serving the County of Los Angeles Ca. 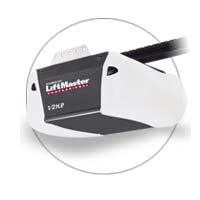 Now you can still operate your garage door opener for 20 full cycles within a 24-hour period if your power is down. Safety and security features will continue to operate, ensuring your family is still protected in a power failure. Always charged and ready - no additional outlets are needed. Alerts you when in use - an audible signal tells you when the battery backup system is operating. Choose a Liftmaster today. Part of the Estate Series - the ultimate in features, performance and power! 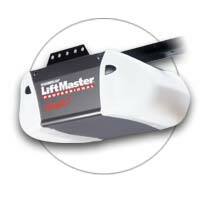 Designed to lift even the heaviest custom garage doors with a powerful 3/4 HP motor. 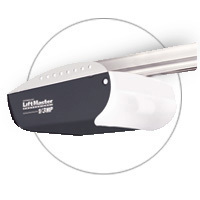 Delivers 200 watts of light to fully illuminate your garage. Choose a Liftmaster today. 1/2 HP premium heavy-duty motor with MVIS® for quiet operation. Advanced electronics now allow the garage door to be opened and closed from greater distances. 200 watts of light for a well illuminate garage. Our chain drive openers are available in 7’, 8’ and 10’ models to accommodate any size garage door opening. A muscular 3/4 HP motor combined with a rugged I-beam rail and chassis support bracket to smoothly lift even the heaviest carriage house or custom wood garage doors. 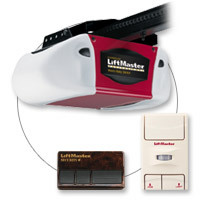 2265 - 1/2 HP Liftmaster Chain Drive Garage Door Opener. Choose a Liftmaster today. 1/2 HP premium heavy-duty motor. 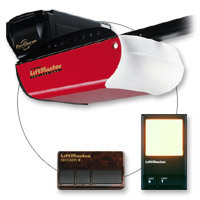 Dual non-yellowing hinged light lenses allows for easy bulb replacement. 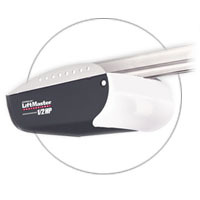 2220 - 1/2 HP Liftmaster Screw Drive Garage Door Opener. Choose a Liftmaster today. 1/2 HP motor premium screw drive. Includes MVIS® for quiet operation. 1/3 HP screw drive motor. 2-year motor warranty. Choose a Liftmaster today. 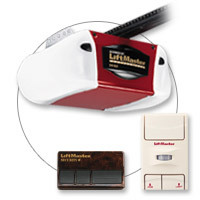 We repair all makes and models of garage door openers in the county of Los Angeles, Ca. such as Genie, Liftmaster, Automatic Doorman, Stanley, Blue Max, chamberlin, Crusader, chief, suiox, 202ss, Moore O Matic, Vemco, Embasador Linx, chain drive, screw drive. We also replace broken garage door springs, sectional garage door springs, torsion springs holmes springs, King Hardware, American hardware and springs, Tavart, rankin, Apex. 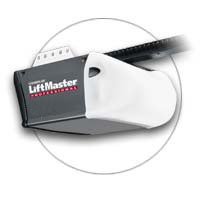 Liftmaster 3800, 3850,3840,3595, 3585, 3280, 3275, 3265, 3245, 3240, 3255, 3130, 1355, 1345. If you need to replace torsion garage door springs, it's important to note that this is not a job to be undertaken lightly. Torsion springs are under a lot of pressure, and accidents during installation could cause injury or damage. However, if you are confident about replacing torsion springs, www.prodoorsupply.com is your one-stop shop for everything you need. We sell high quality springs that are designed to last and hold up to the constant pressures and stresses that these springs undergo. Torsion springs are a key component in your garage door's operation. As you close the door, the springs twist open, creating tension within the spring. When you open the door again, this pressure is released, pulling the door open. Because of the immense force of this pressure-relief, the majority of the effort in lifting a heavy door is handled by the spring. Finding reliable torsion garage door springs for replacing missing parts of your garage door seems like a fairly straightforward task but this isn't always the case. There are a few factors you should consider whenever you buy replacement parts including: carefully investigating seemingly huge discounts which frequently mean high hidden costs related to shipping and handling; and ordering from unfamiliar retailers that may supply inferior products. Return policies should be fair in case of a problem and the lack of a returns policy is a warning sign for sellers to beware of. Pro Door Supply is a trustworthy supplier of torsion garage door springs and other door hardware and has been in business for over 60 years. This family business has recently created an internet-based store at www.prodoorsupply.com as extension of its continuing promise of supplying the highest quality parts on the market at the best to its customers. Pro Door Supply makes locating torsion garage door springs an exciting adventure and guarantees that you will receive professional advice and reliable goods. Pro Door Supply sells torsion garage door springs for renovation projects as well as for remodeling projects. At Pro Door Supply you will be able to purchase the parts that you are looking for. If you don't see what you need on the site, you can always contact Pro Door Supply online at www.prodoorsupply.com and put in a request for torsion garage door springs that you need. The company has a 90 day warranty on all torsion garage door springs. At Pro Door Supply, we're confident that all items will provide years of service but if any part breaks right away because of a manufacturing defect, the company will quickly replace it; no questions asked! Pro Door Supply is committed to excellence and will get your order for torsion garage door springs right the first time around! If you realize that you have inadvertently bought the wrong part, the company will accept a return at a 10% restocking fee. If you discover an error with your order, contact Pro Door Supply right away, as the company can often fix the order before it ships, saving you time and money. A good rule of thumb is to measure twice and order once; to reduce additional, unnecessary costs. We continue to offer the very same demanding standards of service and products at its online store, so take advantage of the convenience and ease of online shopping and visit www.prodoorsupply.com.